So I've had some debenahms vouchers sitting in my purse since Christmas as I've just been so undecided on what to spend them on. However, I've had my eye on this little guy for a while now and have heard some pretty amazing things. So I bit the bullet and decided I would get one for myself. The reason I was hesitant when buying this beauty was that I didn't know if I would use the shades as some of them are quite pink toned and I didn't know if this is something I would like, but boy was I wrong this palette is STUNNING! This palette is literally the summer palette of dreams. Everything about it screams summer to me from the sweet peachy scent to the gorgeous summer shades inside. I know for a fact this will be my go to for eyeshadow through the summer I will even be taking this on some of my Holidays as it is just perfect for any summer eye look. 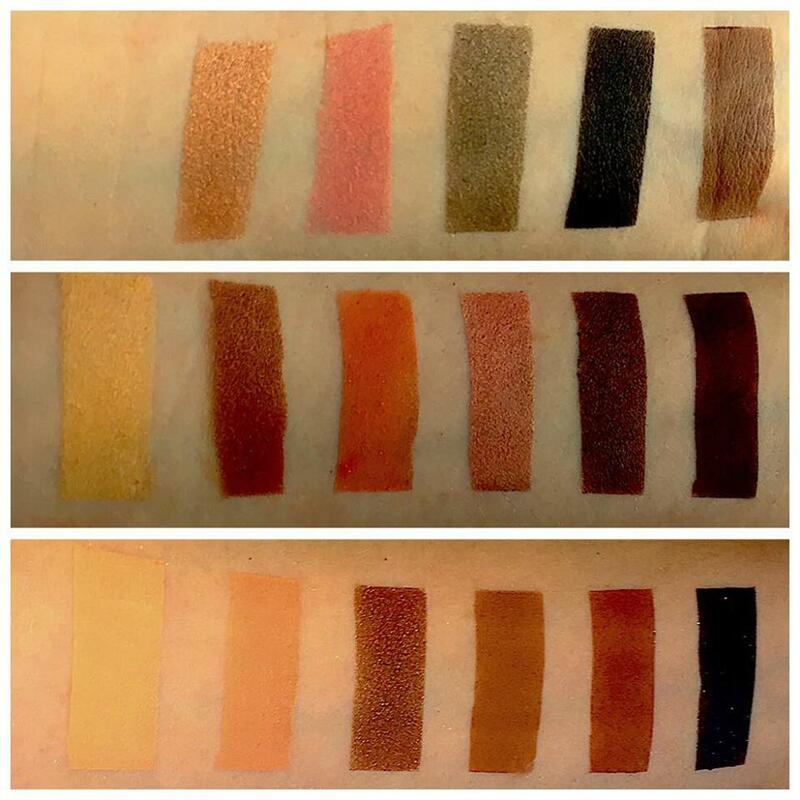 The shadows themselves are super bendable and this makes them super easy to use, you also only need the tiniest bit of product on your brush because these shadows are packed with pigment. One of the main things that I love about this palette is that once it is open your entire room smells like peaches. I also love how differ to my first thoughts these shades are so wearable and can be used to create both everyday looks and looks that are a lot more glam. The packaging is also great as it is in a tin meaning it is so much easier to keep clean and does a smashing job of protecting the shadows. 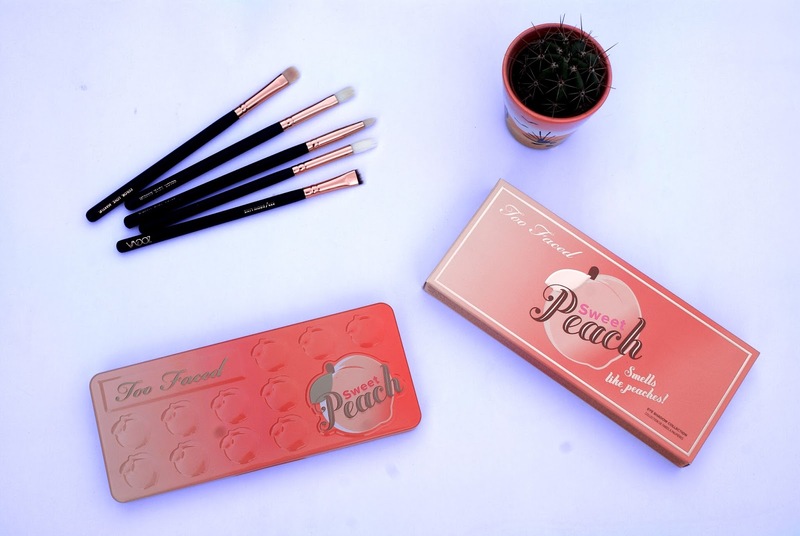 Overall I would 100% recommend the two faced sweet peach palette to anyone. It is a gorgeous piece to add to your make up collection. Two faced is one of my favourite brands as it is cruelty free and this is something that I look for when buying products and I think is fab when brands support it too, as a brand there products are always made to an amazing standard and I am never disappointed. 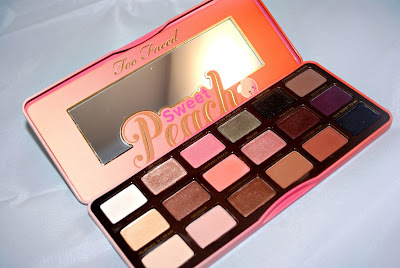 The Sweet Peach Palette is so versatile and a great staple for summer. 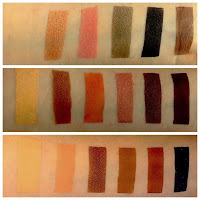 I would say that my favourite shades from the palette would be 'Lucious', 'Peach Pit' and 'Cobbler'.